Sarah Bass (left) and Sara Jones (right) were part of student teams trying to get more students to vote. It’s a cold overcast day in Reno and Sarah Bass, a junior political science and criminal justice major at UNR, is bundled up outside the student union. Holding a clipboard with bright colorful stickers that say, 'Register to vote here!,' she enthusiastically explains how easy it is to register. In 2016, UNR was designated as what’s called a voter-friendly campus. That means it has a strong structure in place designed to encourage students to engage in the voting process. Allison Stersic is another student who has been working on raising awareness on the importance of voting. 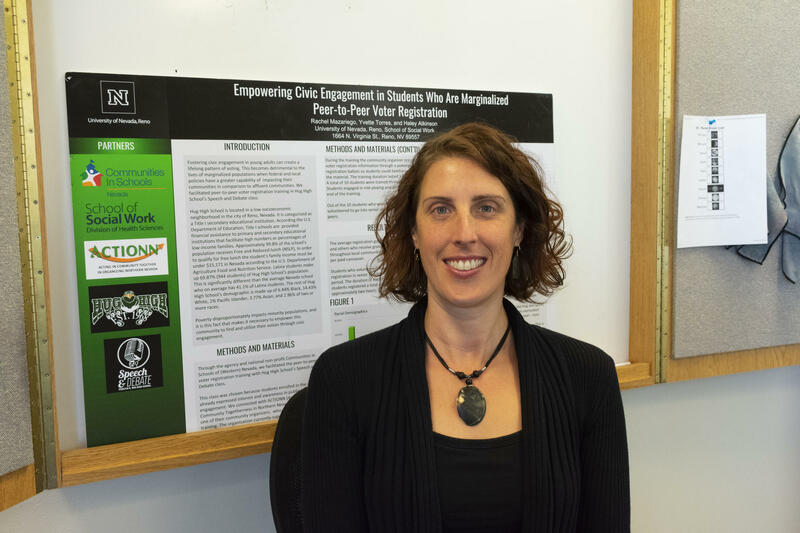 Across campus, another student volunteer, Allison Stersic, works with Campus Election Engagement Process, a group otherwise known as CEEP, which is working at UNR and Western Nevada College. “We’ve seen that millennials are the ones that are not overall participating in voting, numbers are down a lot,” said Stersic. There’s also an effort in the classroom as well. 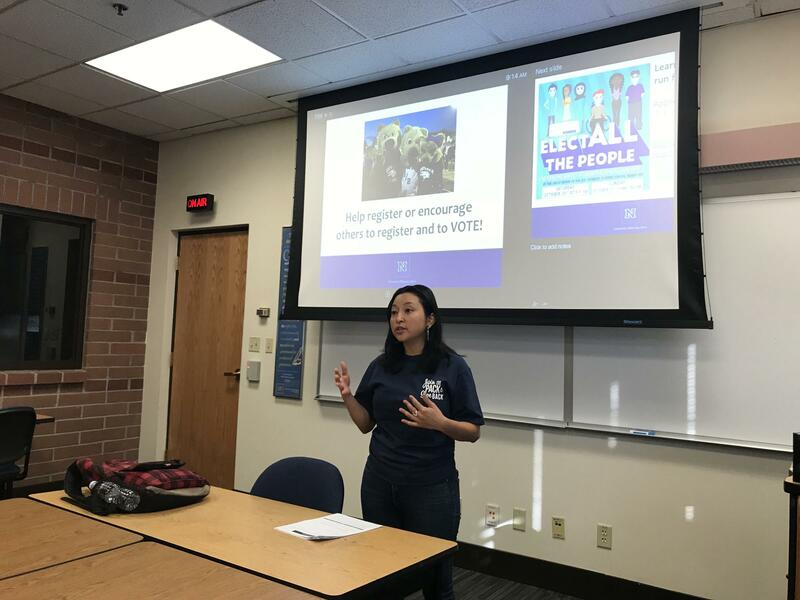 Advocates give presentations to students about how and where to vote, even providing students with the resources they need if they will be voting outside of Washoe County. At the Reynolds School of Journalism, Gaby Ortiz Flores passed out absentee ballots after clearing misconceptions about polling locations the students had. Gaby Ortiz Flores passed out absentee ballots to a journalism class after clearing up students’ misconceptions about voting. These efforts seem to be paying off. There are slightly more voters between the ages of 18 to 24 this year compared to the 2016 presidential election. Lucia Starbuck is a senior at the Reynolds School of Journalism, and this story was produced in association with NevadaVote, a pop-up newsroom within the Reynolds Media Lab. With midterm elections quickly approaching, some voters are concerned with how the next state government will fix public schools. Some argue the system is in dire need of funding, others say schools need more competition and that the state should support school choice. As KUNR’s Paolo Zialcita reports, the debate over education takes an important role in this election cycle. The election is just a week away, and residents of the Biggest Little City are being asked who should lead Reno over the next four years. KUNR's Paul Boger spoke to Bob Conrad with This Is Reno to break down some of the local races on this year's ballot.